Artist William Coldstream’s painting on the roof of Mere Hall. 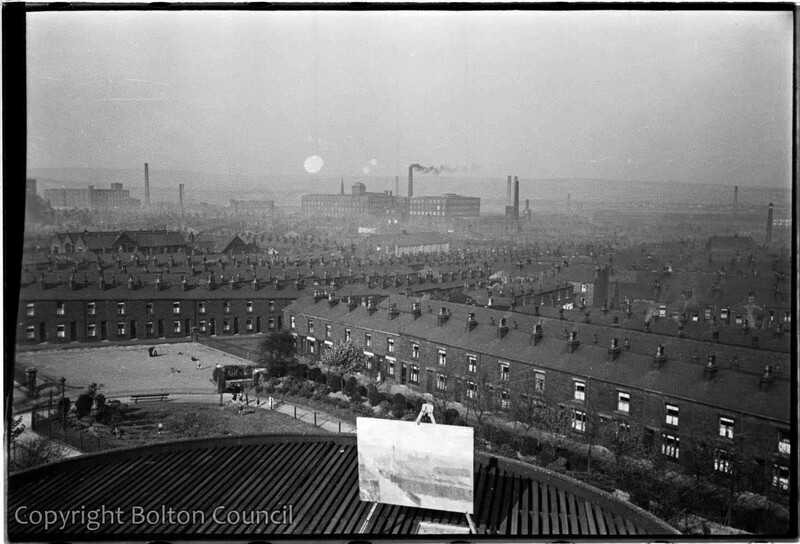 He painted views of Bolton from the hall alongside artist Graham Bell for Mass Observation. This painting is now in the collection of the National Gallery of Canada. hence the drawings. They are for personal use only. Thank you.